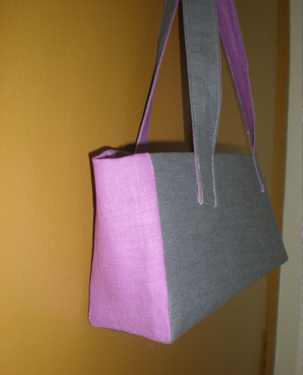 Today, I want to share my new bag design. This is my first time working with linen fabrics and I can say I love to work with it. 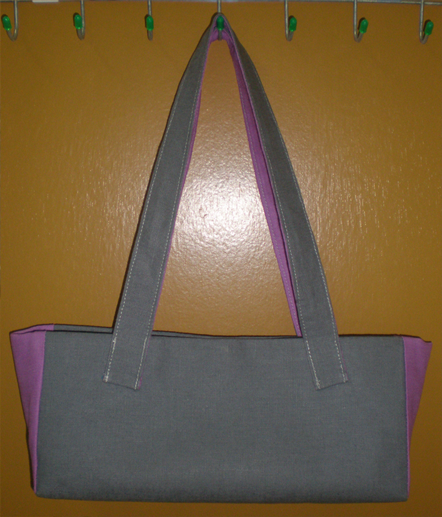 I combine 2 colors which are purple and gray and guess what... it turn out great. 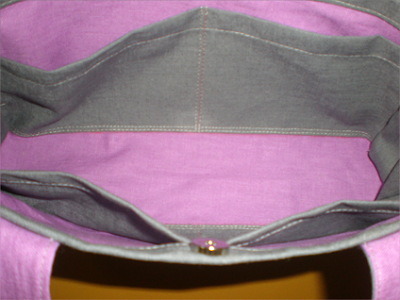 They are really a great combination if we want to use plain color fabrics. 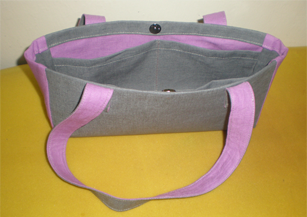 Back to the design, it has 4 pockets inside. Size approximately 10.5" x 4.8". Since it is quite cute, you can't load it with too many things. Maybe a wallet, a check book, a small notebook and a few small things are enough. Have a look and please leave a comment or two. I would very appreciate it. really gorgeous fabrics and color combo.. (I hardly ever use solids in my sewing..) love the bag pattern..